After quite a bit of testing on and off the golf course I have found that this formula produces positive results. Please keep in mind that hitting any shot in the wind is not exact science and there will always be a subjective side to selecting the appropriate club and shot. 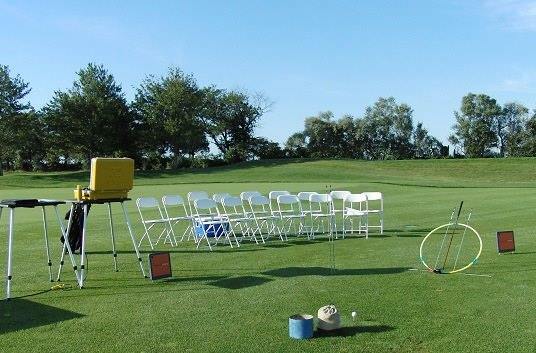 Example scenario: For a 140 yard shot into a 20 MPH headwind. I would add 28 yards (20 yards per 100) to 140 to get to 168 which is a full 7 iron for me. I would thus take a 6 iron and hit a knockdown for this scenario. You might wonder how you'd come to recognize the wind speed...? Experience certainly helps, but there's nothing against checking a weather app on your phone prior to going out to play to help you gauge wind speed. And remember - there is no such thing as a one club wind! Thanks for reading and I hope this information helps you better control your ball in challenging windy conditions.